2.Factory price & high quality. 3.Fast delivery & good packing. 5.Experienced staff and QC team work. 6.Experienced in processing, designing, quality control, after service. Etc. Polished, Honed, Flamed, Sandblasted, Rough hammered, Bush hammered, Rough picked, Mushroom, Axe-cut, etc. Full Bullnose, Half bullnose, Flat eased (eased edge), Bevel top, Radius Top, Laminated Countertop, Ogee Edge, Dupont, Edge, Beveled processed and polished or others. 10mm, 20mm, 30mm, 20+20mm laminated, 30+20mm laminated, etc. high and elegant, so it is a ideal kind of modern decorative stone. 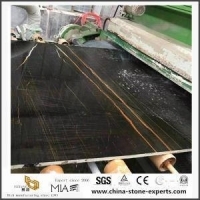 Thickness tolerance for tile: +-0.5mm;+-1mm.All products are checked by experienced QC then packed. USA, EU, Middle-East, Korea, Japan, etc. Marble is a metamorphic rock composed of recrystallized carbonate minerals, most commonly .... varied and colorful patterns make it a favorite decorative material, and it is often used in background patterns for hotel,pub,bathroom,hall displays, etc. 1) Strong wooden crates,Our skillful workers follows strict quality control from the very beginning to final delivery. 2) Countertops padded with foamed plastic and packed in fumigated wooden crates, reinforced with metal straps outside. For 12 mm thickness, 1x20'ft container can Load 170 slabs. For 15 mm thickness, 1x20'ft container can Load 140 slabs. For 20 mm thickness, 1x20'ft container can Load 105 slabs. For 30 mm thickness, 1x20'ft container can Load 70 slabs.